Florida Man Almost Lights His Wife On Fire As A Joke. I’m sure that everyone has figured out by now that most things that happen in Florida are anything but normal. Every crime story that seems to be the next strangest thing that we’ve ever heard usually takes place in that state. Well apparently even their “pranks” are weird and twisted. 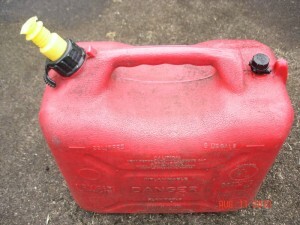 A man recently said that him pouring gasoline all over his wife and almost lighting her on fire was all just a prank! Khemraj Samlall, 43, told police that he was only joking when he had tried to ignite the gasoline that he had “accidentally” spilled on his wife in their bedroom. He was charged with aggravated assault with a deadly weapon without intent to kill. Even though he had allegedly pointed two knifes at his wife as well and was threatening to kill her. 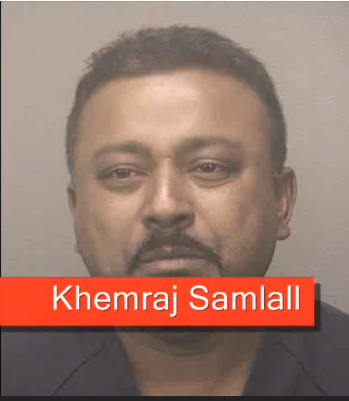 The argument had started after Samlall had gotten home from a night out with his friends early Sunday morning. He was drunk and his wife was calling him a bad father for not spending time with their nine-year-old daughter and 14-year-old son. That is apparently when the knife incident happened and shortly after, Samlall went to the backyard to grab a red gas can. He then went back into the house and threw fuel on his wife. This was all witnessed by their son as well.